A tutorial on how to schedule a meeting with Zoom using Engineering IT's recommended configuration and generate an invite via Outlook. 4) On this page you are given lots of options for your meeting such as giving your meeting a useful title and description can be helpful down the line for the hosts to be able to tell meetings or recordings apart. It's on this page that you’ll also set the date, time, and duration. NOTE: Engineering IT recommends not making any changes to the “Registration” “Video” or “Audio” sections. 4b) Check “Mute Participants upon entry"
This minimizes distractions caused by late participants. 5) If you are scheduling the meeting for someone else or if you plan on including additional presenters or "hosts" you can add them as Alternative Hosts. 7) At this point your meeting is scheduled! All that is left to do is invite the attendees. This can be done one of two ways. 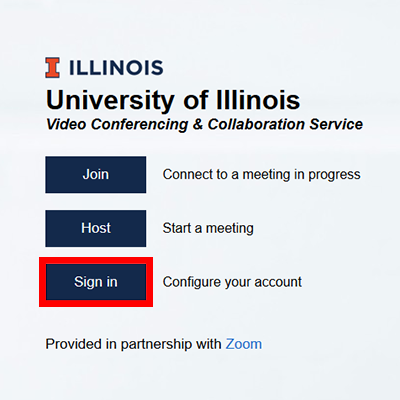 Option 2) Alternatively on the zoom page you can just copy the zoom “join URL” into an Outlook meeting invite or email. Or use the “copy the invitation” option and paste it into an Outlook meeting invite or email.